It’s a bit of a blustery day out there, isn’t it? If your garden is planted already, you might be thankful for the possibility of rain. This year we’re following the old adage of waiting to plant until after Memorial Day–but not because of fear of frost: rather because of the particularly busy spring we are having. 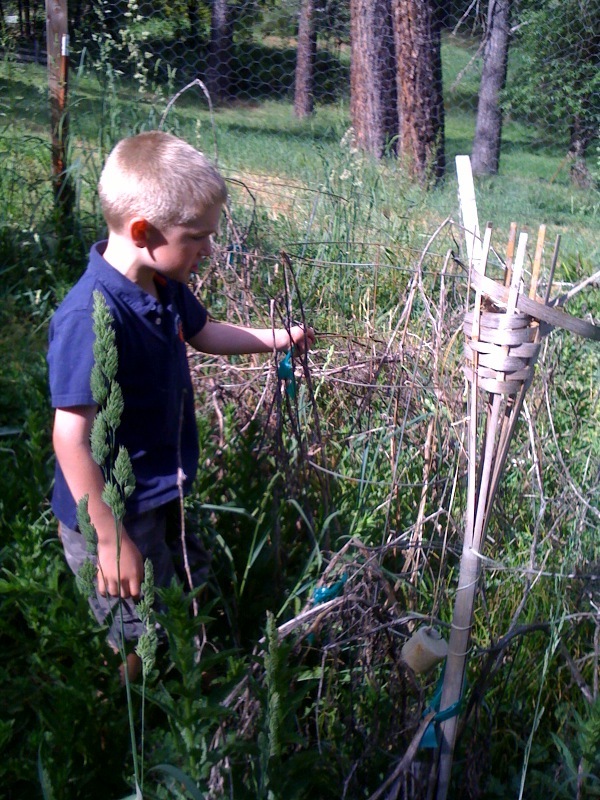 This week our intrepid and hard-working manager, Becky, took the kids and finally got a start on the store garden. You can view a few more pictures on our blog, here. 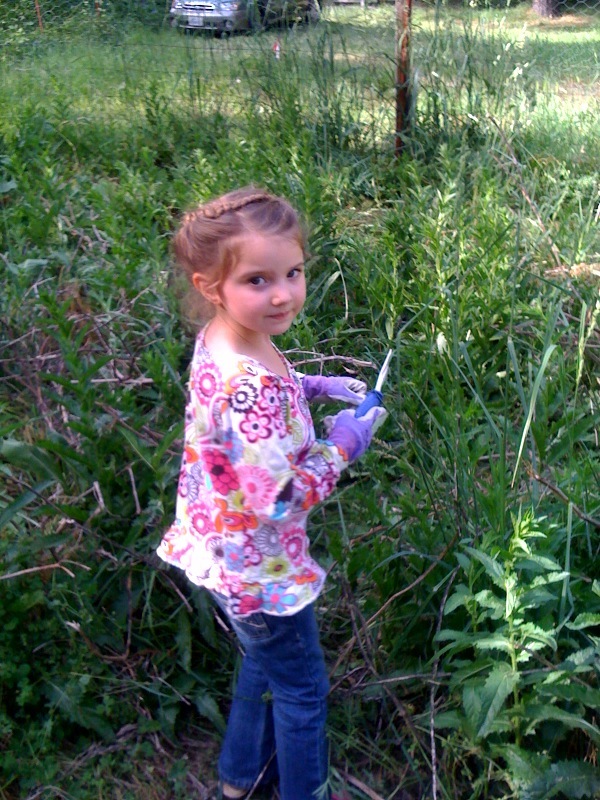 Is it a good sign when the weeds are taller than your child? We may be late to the garden this year, but it will come. In the meantime, our busy schedule has increased my appreciation of a three day weekend. Happy Memorial Day! Actually, the store will be open from 8 am to 4 pm on Monday, but the kids are out of school and I’m looking forward to a day spent together. How will you celebrate Memorial Day? This week we are offering our Sumatra Mandheling as the coffee of the week. This coffee might be too easy to praise, as it is one of my perpetual favorites. It’s light-roasted, smooth, and full-bodied with light nutty tones. You can drink it if you’re greeting the day with the birds, or if you’re winding down with a wedge of dark chocolate in the evening. In case you haven’t been getting this newsletter for years (and I can use the plural because April marked our two year anniversary of sending out this weekly e-mail), let me explain the geography of Sumatra. I’m pretty sure that if I wasn’t in the coffee business, I wouldn’t be able to find it on a map. Sumatra is an Indonesian island that lies to the far west of the archipelago: west of both Celebes and Java, and close to Malaysia. You can find the abbreviated story of how Knutsen Coffees, our green bean broker, came to import this particular coffee in their April newsletter, here. Scroll down to the section with the header “Sumatra Mandheling PWN Extra Bold.” You never know who will walk in your door! This week our Sumatra is a dollar off per pound. Whatever coffee you choose to brew this weekend, I hope you enjoy your Memorial Day. If you’re in town, stop by and see us on Monday and try a free cup of Sumatra by mentioning the code “Coffee of the Week.” Sumatra will be available through next Tuesday, the 29th. 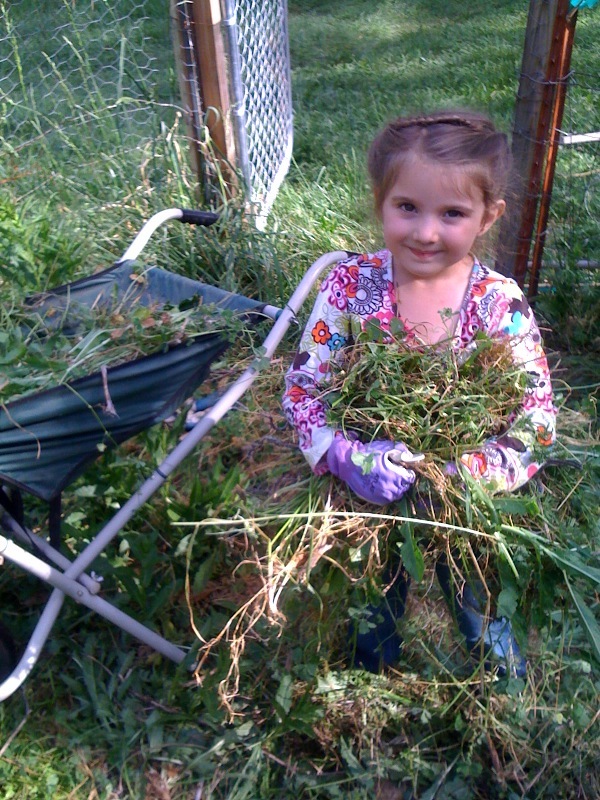 We’ve had an unusually busy spring in our family, and the store garden has been sorely neglected. Fortunately, our lovely manager, Becky, has taken things into her own hands, and begun the process of clearing out the detritus of last year. After a bit of rototilling planned for this weekend, we’re hoping to get plants in the ground next week. For your viewing pleasure, here are a few pictures of the overgrown mess that will soon become a garden. All photos are courtesy of Becky–thus her absence. In a few months you might be eating tomatoes harvested from this space–at least if you purchase a sandwich from our store! 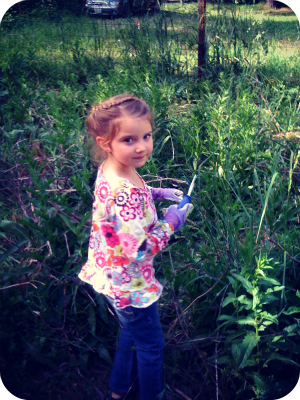 When the plants are taller than your child, you need to weed! It feels like summer around here: today all of our female employees were wearing skirts and dresses (yes, we dress up on Friday, we’re countercultural). Yesterday a group of us went and got our nails painted together–sandal season has begun! Many thanks to the lovely Molly and Becky, who both invited and treated me. We have wonderful staff! This week’s coffee of the week is not as exciting as the unusual Yemen of last week. This week we’re featuring an old friend, one of our most popular coffees: our Colombian Supremo. Do you have an old friend? Not by age, but by longevity of the friendship? I happen to have four friends who have known me for what seems like forever: two sisters and two best friends. I have many other friends too, but no one understands me better than than these women with whom I have so much shared history. We never have to explain ourselves. Today’s joys or struggles are surrounded by the light of yesterday’s happenings, and they make each story that much broader. Maybe it’s a stretch to compare Colombian to an old friend, but this is a coffee we’ve carried for a long time. Years ago, before a certain Seattle coffee company had introduced the world to specialty coffee, this was the place we recommended that customers start. If you’d never had gourmet coffee before, this Colombian Supremo was a nice entree into the world of superior beans. In other words, it’s a crowd-pleaser, and easy to enjoy. So this week let’s raise a mug of Colombian Supremo to our faithful friends. The smooth and comfortable notes of this coffee may remind you of someone tried and true. Enjoy! 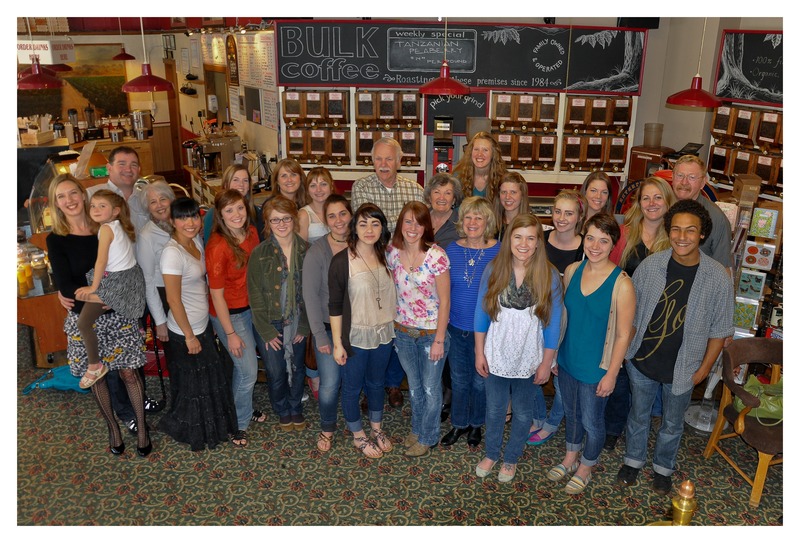 All Employees: Back Row (L-R) Holly holding Caroline, Trace, Sally, Sierra, Karen, Elizabeth, Chuck, Caroline, Becky, Erin, Maddie, Becca, Molly, and Mike. Front Row (L-R, starts five people from the left): Khrista, Alex, Ellia, Corrie, Monica, Katherine, Connie, Elyse, Ruth, and Roderick. At the request of a customer, I am posting this staff picture again, with names attached to all of the current employees. In the caption below the photo are the names of everyone in the picture, in case that’s easier to follow. Of course, you can always ask our names in person: that way we learn your name too, and we love to get to know our customers better! Last week the header on this e-mail was a picture of former and current staff. At the request of a customer, I’ve posted the same picture on our blog with with names attached to all of our present employees. You can click here if you too are wondering the identity of all of those folks. This Sunday is Mother’s Day, and as a mother myself, it’s a day close to my heart. I’ve already received a hand-painted and decorated frame from my five year old daughter that says: “I love my mom because she gives me presents and reads me a book every night.” My son brought home a beautifully wrapped gift from school yesterday, but he’s old enough to wait until Sunday to give it to me, so I’ll see it then. I love the things they make for me and I sure appreciate their patient teachers who help them with their creative gifts. 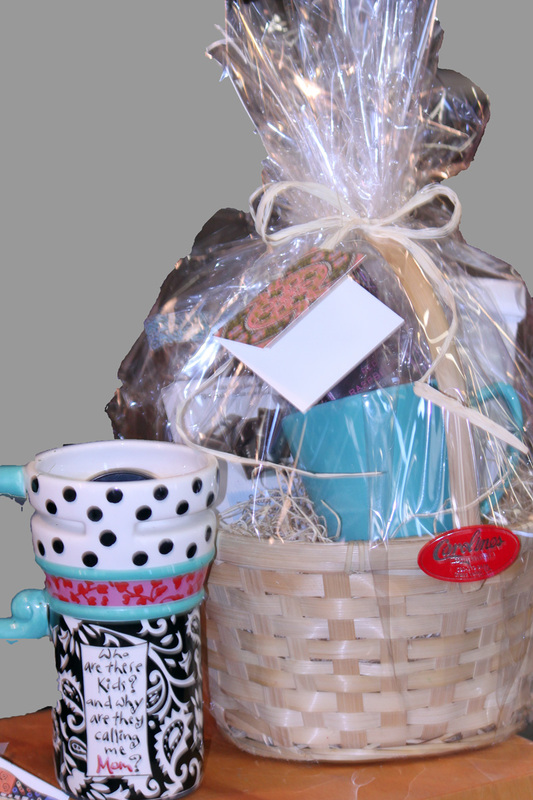 If your mom is a coffee or tea lover, I hope you know that we’ve got you covered. From coffee and coffee makers to loose leaf teas and gourmet food items, or even a gift card–and the best part is: we gift wrap at no charge! Tomorrow is also the Second Saturday Art and Wine Walk, so if you’re still in need of a Mother’s Day gift, you can shop downtown and wine taste at the same time. This week’s coffee of the week would please any coffee-loving mom (how’s that for a segue?). I know that I’ve been enjoying waking up with this Yemen at home all week. A number of you have been asking when this Yemen would arrive: well, your wait is over. For those of you who are assuming this will taste like an African coffee by proximity, this is nothing like most African coffee. The country of Yemen is on the southeast side of the Arabian peninsula (technically in Asia), and it has attributes unique to its location. Yemen coffee is one of the world’s oldest coffee growers, and not much has changed from then to now. This Yemen is a particularly small green bean, without the roundness of a peaberry. The flavor has a mellow acidity instead of the dominant bright tones of most African coffees. There are berry notes and nutty flavors. When you open the bag of green coffee, there is an overwhelming fruity aroma that lets you know this is an unusual coffee. 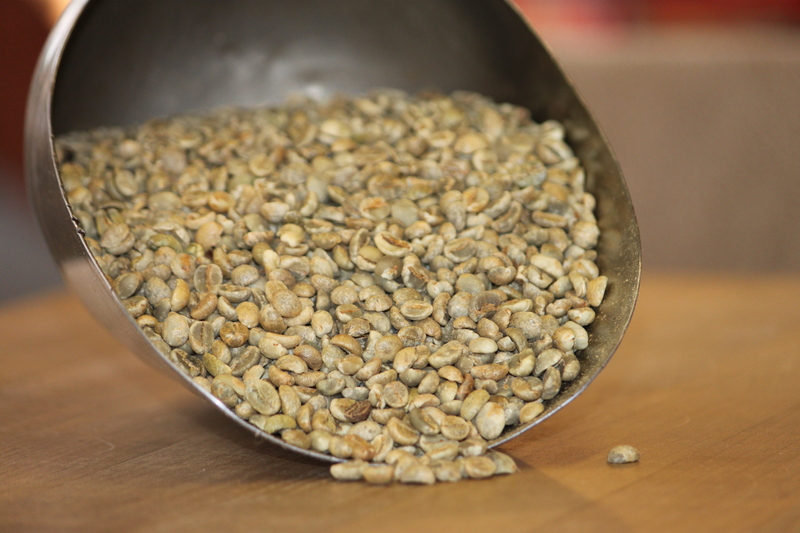 If you would like to try this Yemen Ismaili Sanani, visit our store and mention the code “coffee of the week.” This week it’s on sale for $18.99 a pound, online and in our downtown store. On a final note, you’ll see this coffee also labeled Yemen Mocha (or Mokha). However you spell it, Mocha is the port through which this coffee is exported, so that name is also correct, and probably better known. Enjoy! Looking for a Mother’s Day gift? A Bone China Mug? A Teapot? Mother’s Day is close to my heart right now as I raise young children, and have so many friends who are doing the same. I appreciate all the time and love my mom put into raising my siblings and me: and I am in awe of my friends who are such stellar examples of good parenting. This may be a holiday created by greeting card companies, but it’s a good opportunity to be grateful to the mothers around us. We all have mothers in our lives: whether friends or family. I would love to hear about your mother (whether literal or not), and why you appreciate her in the comment section. If you have young children, as I do, you probably receive wonderful handmade mementos of their love. My favorite gift in the last month was an unprompted card from my six-year old son with drawings of birds on the outside and an “I love you Mom” inside. It’s tucked away to keep forever. What gift has meant the most to you lately? My mother happens to be halfway across the world, and for the last few years I’ve sent her a thank you by e-mail. Having two kids of my own has made me realize how much she gave to myself and my three siblings over the years. I am much more grateful now than I was as a child (although judging by my own experience, my cards were probably cuter back then). If your mother loves coffee, I’m sure you know that we’re the place to get it. 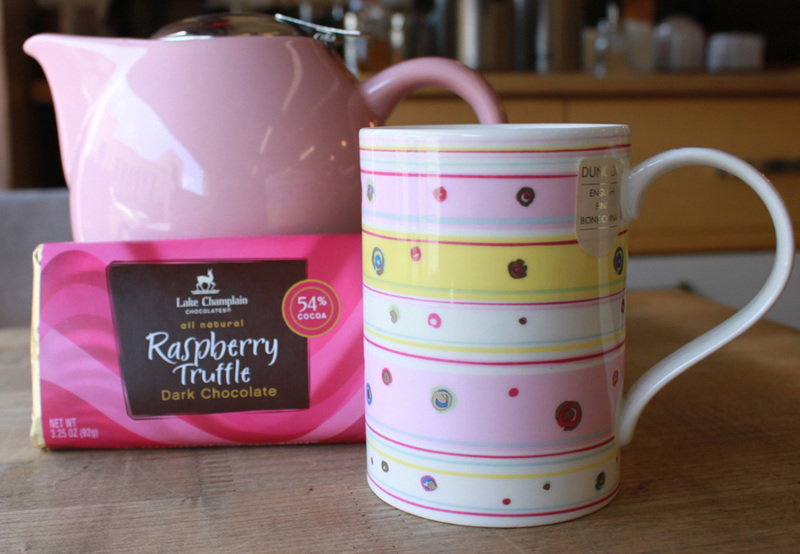 We’ve got you covered in the tea, mug, and chocolate department too! But I highly recommend including a handwritten note–I cherish the ones given to me and I’m sure your mother will too! Happy May! Did you see our ad in the paper on Monday? It was on the weather page, if you still have that edition lying around. The photo above was the central feature of the ad, taken by the lovely Korin of Fowler Hill Photography. We made a last minute attempt to have former employees included in the picture too, and I think nine of them had a flexible enough schedule to make it. Since in the last ten years we’ve had around 150 employees (I counted! ), I think it’s probably a good thing not everybody who worked here in the last thirty years showed up. We would have definitely had to find another location for the shot. 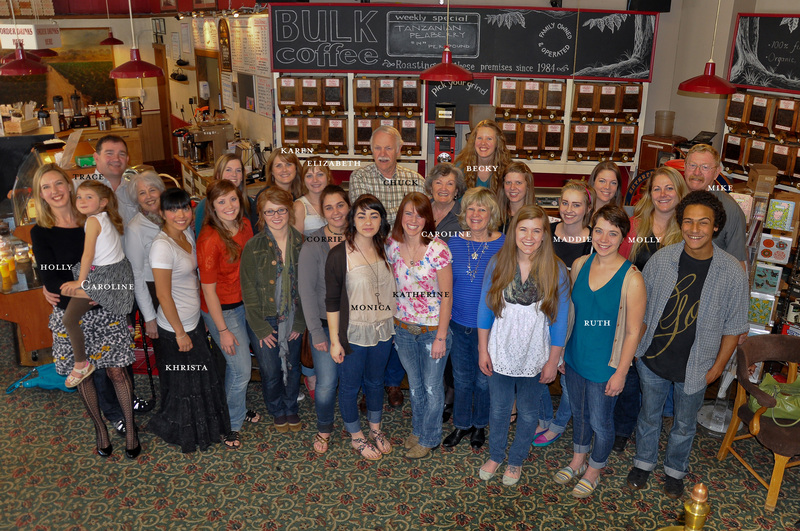 Many thanks for your patience, if you were one of the customers who came in while we took this picture! It sure was fun to gather new and old faces together all at the same time. We’d love to have a photo album of former employees, so if you’ve worked for us in the past, you can post your picture, your name, and the dates when you worked here on our Facebook page and we’ll start a collection. The mottled nature of Celebes. This week’s coffee is one of my favorites: our Celebes Kalossi. It’s so good that we have a customer who gets twenty pounds at a time shipped to him. If you’re an Indonesian coffee fan, you’ll love this bean. We’ve talked before about the unusual way in which this coffee roasts: the beans, all brought to the same temperature, come out with slight variations in color. 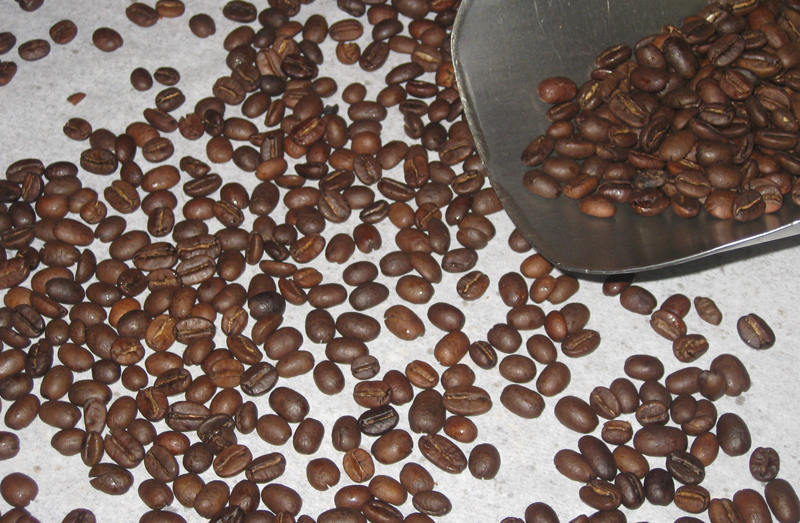 Most beans roast very consistently, by shade, but Celebes does not. However, the final taste is amazing, so this is a characteristic, not a defect (and don’t we all hope that our traits are not counted as defects?). You’ll find all the great qualities of an Indonesian coffee in this cup of Celebes. Celebes is a bit of a misnomer, by the way. This coffee comes from the island of Sulawesi, located to the east of Sumatra and Java. It has an unusual, hand-like shape, and it did used to be called Celebes–we’ve called it that since we began roasting coffee, so around here the name stuck. This Celebes Kalossi is bold, full-bodied, thick and flavorful. You can taste nutty and earthy tones when you drink it. Trace roasts it light so that you can taste all the great aspects of this bean. Come try a free cup by mentioning the code “coffee of the week,” and soon you too might be ordering it twenty pounds at a time! Andrew has been our weekend cook for some time. Andrew and Will have both been helping around here their entire lives. The level of help has grown as they have, and both of them are now an integral part of the Carolines staff. 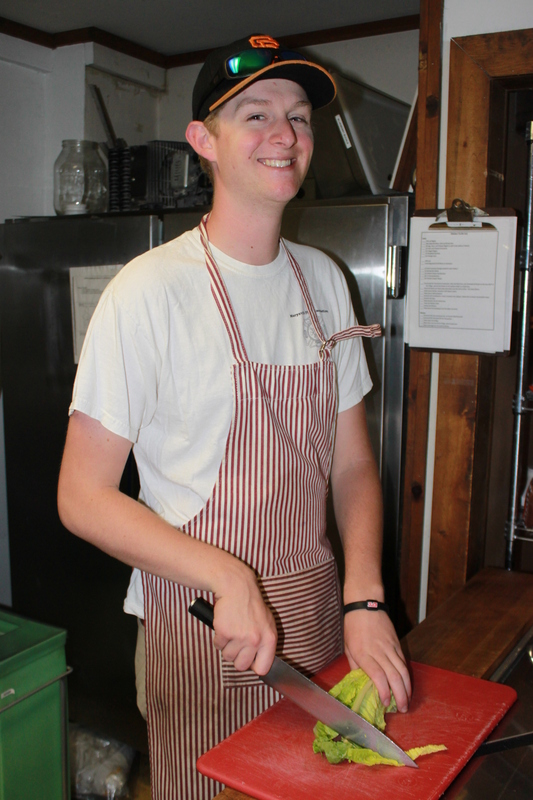 Andrew has been our cook, among many other jobs over the years. At the end of this week Andrew will leave for a job in the US Forest Service, so it seems like a good time to say: thank you for all of your help over the years. Will is still an active member of the Carolines team. He refills our bulk coffees at the SPD Markets twice a week and he is in charge of the regular cleaning of the coffee roaster. Coffee oils plus high temperature leads to quite a baked on product, so this is cleaning that involves a chisel. 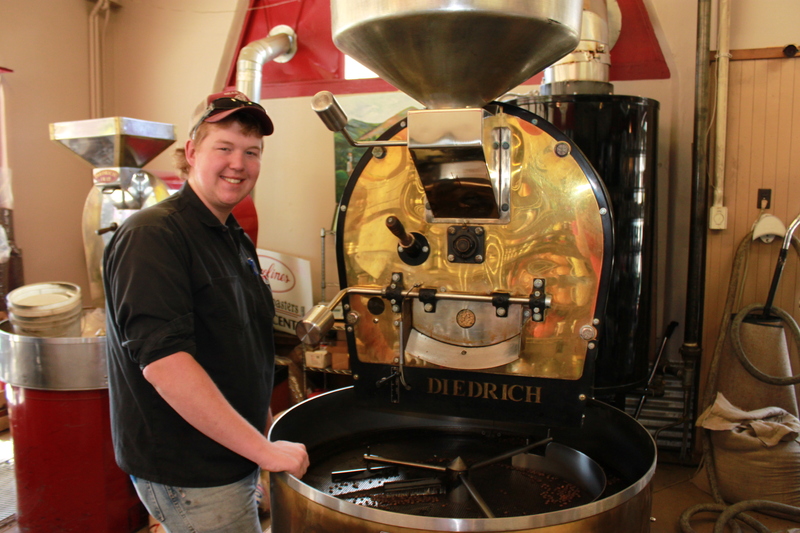 Will is responsible for cleaning the roaster, among his many jobs around here. Both boys are hardworking and wonderful young men. We know you will both be successful in whatever you choose to do in life. Thank you for all the time you have put in here!